This entry was posted on August 24, 2015 by Tarl. 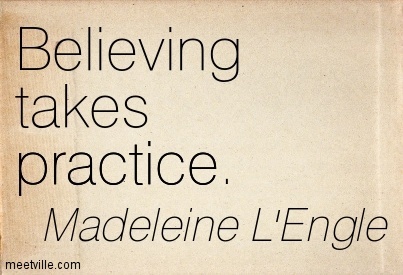 It was filed under Author's Vision, Writing and was tagged with A Wrinkle In Time, belief, believing takes practice, imperfection, Madeleine L'Engle, Madeleine L'Engle quote, misprint, writing. I have a copy of Les Miserables that’s misprinted like that. Now that’s a pretty big boo-boo. I wonder what the editor was doing to let a whole repeated section pass. I would love seeing this happen with To Kill a Mockingbird. I’m sure that would be worth quite a bit of money, eh?